Attorney Alan Abramson told NBC News that he is representing a client who was a friend of Ramirez. "According to my client, in the early 90's, Ms. Ramirez told my client about an incident that happened during Ms. Rameriz’ freshman year at Yale," Abramson said in a statement. "I immediately contacted Ms. Ramirez’ attorney and gave him this information including my clients name. He advised me that he gave my client’s name to the FBI on Sunday, as someone with pertinent information who was willing to speak the FBI. Having not heard from the FBI, I personally contacted them and spoke to two agents. I have not heard from the FBI yet, but I am hopeful that they will still contact me." 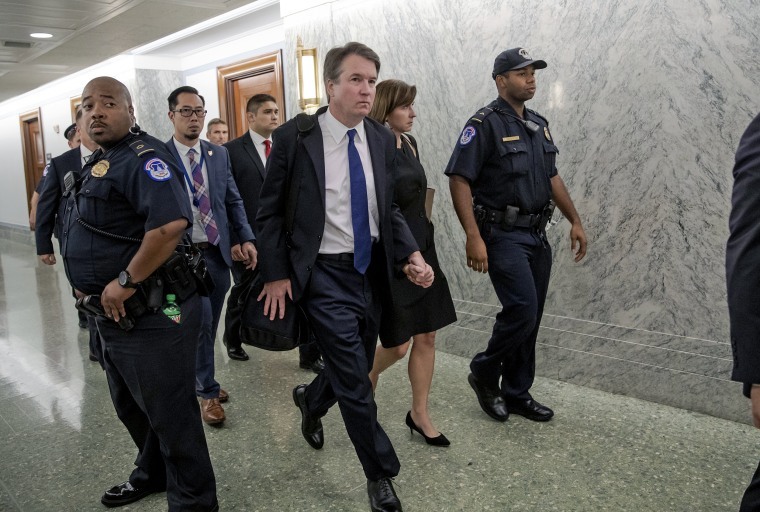 The supplemental background investigation was reopened in the wake of last week's Senate Judiciary Committee hearings over Ford's accusation. The FBI has interviewed at least three additional potential witnesses, most notably Kavanaugh's high school friend, Mark Judge, who Ford said was in the room at the time of the alleged assault. Judge submitted a statement to the Senate Judiciary Committee saying "I do not recall the events described by Dr. Ford in her public testimony."